It is true what they say: The home is where the heart is. We all want a warm, cozy home that meets all our needs and makes us feel safe and secure. Buying a home truly is one of the most important purchases you will ever make. Knowing how to spot past issues in a home will ensure your investment is a smart one. But it is a purchase that is often made on feelings. Do you like the hardwood floors? Does the home have your dream kitchen? Is the backyard big enough for your kids/pets? It is easy to get emotionally invested in a home that can check all your proverbial boxes. But that is one of the biggest problems when people are looking for a house; those feelings can blind a person’s judgement and prevent them from seeing potential issues with a home. Buying a property with past issues can cost you tens of thousands of dollars to fix and even make reselling a frustrating nightmare. But you can avoid being blindsided by those sorts of headaches with a little know-how. 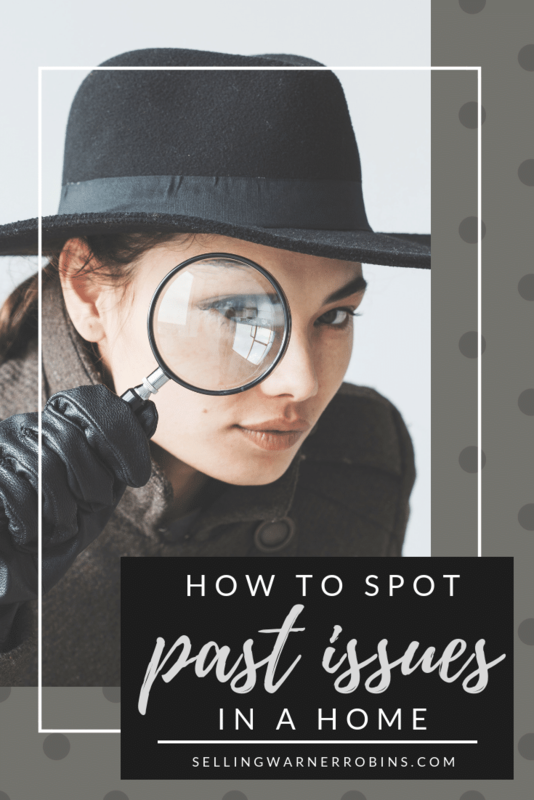 Here are some key tips on how to spot past issues in a home. When viewing a home, the first defect you should look out for is a poorly designed foundation which can cause some severe problems down the line. Not only can it make your house difficult to sell but it may also affect your health and comfort. So how do you check for foundational issues? Look for doors and windows that either appear crooked or are difficult to open and close. No floor is completely flat, but take note if the floors and staircases seem especially warped. If there are cracks and separations forming in the walls and ceilings, it can point to a foundation that has shifted significantly. Every house settles over time and a little foundation unevenness should not cause panic; however, too much movement can lead to foundational weakness and a costly fix. If you notice some of these signs, and are still interested in the property, it would be wise to hire a professional home inspector to be sure once you are under contract. A well-functioning roof might be the most important feature you can ask for in a home. A good roof can last a long time and protect you from water damage, insulation issues, foundation damage, pests and more. An indoor visual inspection of the roof can also help you spot moisture marks, colored stains, and peeling paint on the ceilings and walls. These are all warning signs of a damaged roof that is allowing moisture to seep inside. Check the attic for additional signs of roof damage. Look for water damage or insulation that’s gotten wet. These are both signs of a leak and an eventual threat to your health. Roof replacements are costly, but the problems they prevent can cost even more. If there is ever any doubt at all, it’s worth hiring a professional as an insurance policy. Most electrical problems in a home are warning signs of bigger problems coming down the line. If electrical work has been done properly – and sometimes it is not – it takes some outside factor to compromise the system. Therefore, any electrical issues you find must be taken seriously and as a potential threat to your health. Electrical issues can lead to property damage, or destruction if they lead to a fire, and costly repairs. Look for buzzing, flickering, or dimming lights. Another definite sign of a defective electrical wiring is if your lighting cannot maintain itself. This usually happens when you are turning a lot of lights on at once. Look for visible shocks coming from outlets when you plug something in. If you experience a mild shock or tingle when touching an appliance, improper electrical wiring or a faulty appliance may be the cause. Check for chewed or frayed wiring. Pets, rodents and amateur repair people are the main cause of this problem. Burning odor or sparks: A burning smell from outlets or switches may be because of a faulty device, but it can also be an overload or wiring problem. Large sparks when you plug in an appliance indicate a problem in the circuit. A popping sound also signals a loose wire. It is almost impossible to check the status of wires inside the walls without an inspector, but feel for warm or vibrating wall outlets. These sorts of issues generally indicate issues with wiring in the interior of the home. Scorching and discoloration: Scorching or discoloration marks on the electrical outlets are an indication of past damage. If you are seeing these, you cannot be sure that the problem was properly fixed without having an inspection performed. You can identify some of these electrical problems yourself, but be cautious when dealing with electricity. When in doubt, prioritize your own safety, and hire a professional who is trained to identify electrical problems. HVAC equipment is often one of the hidden costs when buying a house. It is important to consider the quality and age of a home’s heating and air conditioning system to gauge utility costs and consider when the units will need to have maintenance performed. It takes a professional to look at an HVAC unit and identify problems, but you can at least look for the symptoms. Are there air flow issues in the home? If one room or one area of the home is significantly cooler than the other, this imbalance signifies that something is not working properly. Is there an unusual smell? Unpleasant scents coming from vents are usually a telltale sign of some sort of leak occurring in the system. Unusual sounds should concern you as well. Start and stop the heating or air conditioning a few times. Does the system rattle or groan into action? A blower motor or a bent fan blade can cause these weird sounds. When in doubt, ask for a history of HVAC maintenance from the current home owners. Frequent maintenance usually signifies a larger underlying problem with the unit. Like your new house, an HVAC system is an investment in your future and it is important that you use these strategies to find a system that will last for a long time. If you are spotting any issues at all during your own evaluation of the home, a proper home inspector will usually identify the problems and give you power to negotiate with the home owner in a meaningful way. 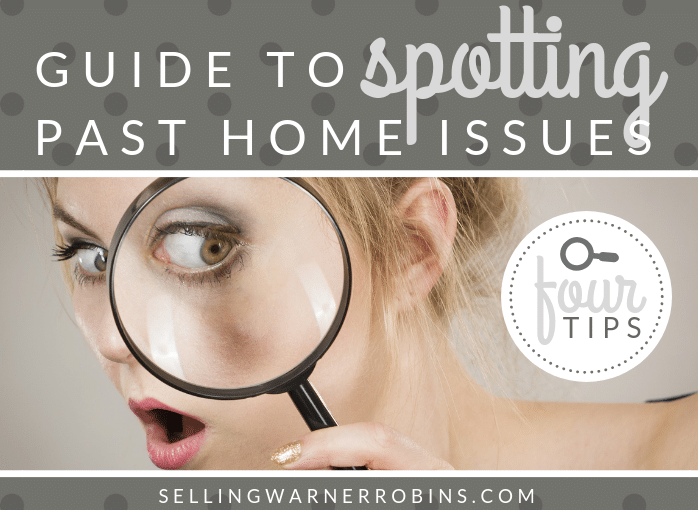 It can initially be difficult to spot these giveaways when purchasing a house, but once you know how to spot past issues in a home, you will be more critical of the homes you preview. While most people are generally honest, there are definitely times where some sellers may attempt to mask these telltale signs from view. As long as you keep a level head and come equipped with the proper knowledge, you can save money while making certain that your new home truly is your dream home. Happy house hunting! Good blog that covers some great points except that there is no mention of how important it is for the buyers agent to attend the inspections. I am shocked at how many agents don’t attend the home inspection claiming it is too much liability…the liability is in not attending. It is also amazing what the agent can learn by going to the inspections and keeping their eyes and ears open.